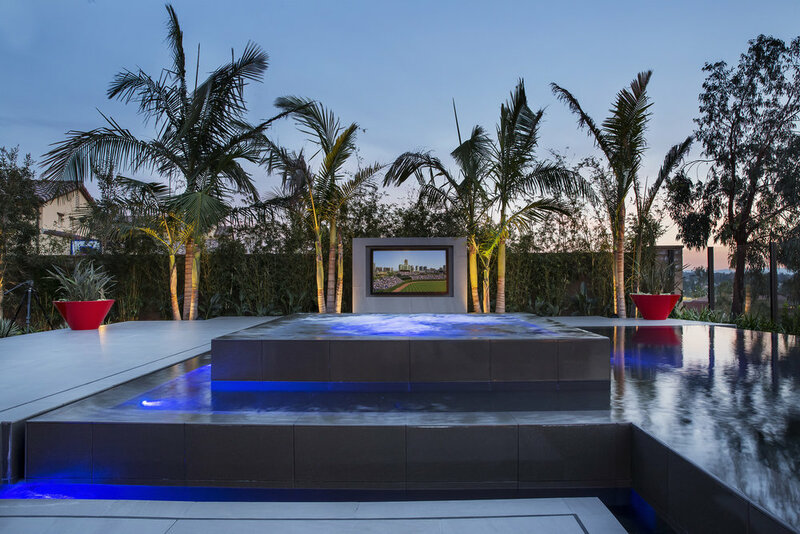 The Choi Garden is a direct reflection of its high-energy owner, who wanted to create the ultimate, modern outdoor-entertainment venue. The community-driven traditional Mediterranean front yard landscape, gives way to contemporary whimsy at the entry courtyard with a black tile rim-flow fountain, and a tropical quadrant of shade-spending palms. The modern twist continues with the interior flooring flowing throughout the house, into the rear loggia terraces and garden spaces. 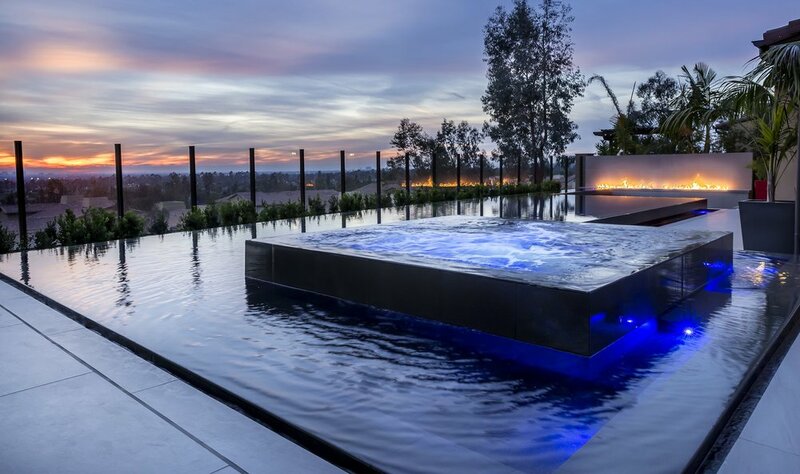 A large black granite infinity-edge pool sets-up as foreground to the Irvine Valley views. 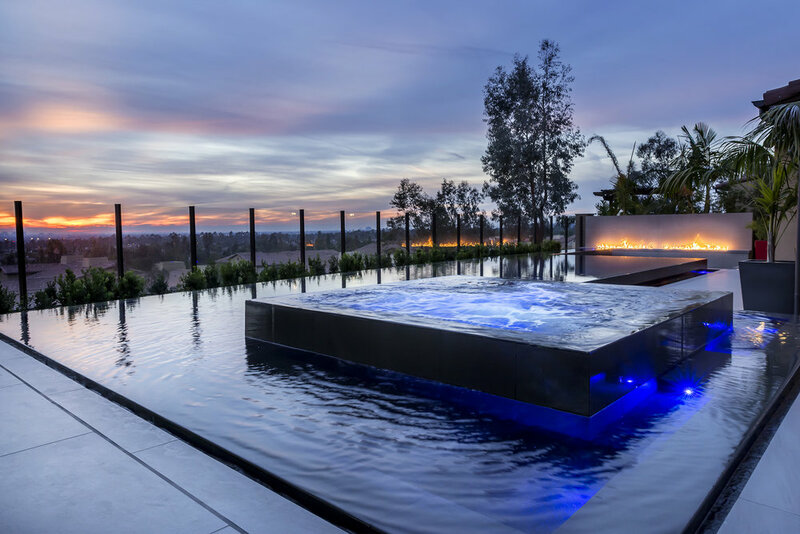 A raised rim-flow spa with media wall, surrounding sundeck, and a sunken gathering area with a linear fire-wall, complete the contemporary experience. 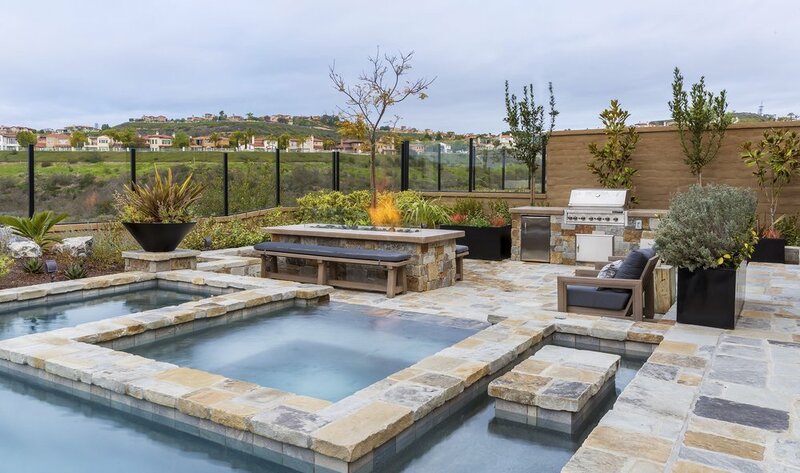 The landscape theme is dominated by a lush, green landscape, offset by eclectic agave and palm tree accents, along with black beach pebble and a striking green lawn.